"I have created some Spotify playlists that I want to be able to listen to whenever I want while I’m driving, and fitting it all on my phone isn’t an option. I picked up an USB flash drive that can hold everything just fine, but how can I use that to listen to Spotify music on my car stereo?" Firstly, you need to beware of the reason why your Spotify songs can't be transferred to USB for playing in car. Simple because all of Spotify songs are riddled with DRM, limiting you to transfer your accumulated Spotify music to other music players for streaming. We guess you must want to unlock the restrictions from Spotify. Therefore, the Spotify DRM removal software is necessary. Maybe you have searched online and found many tools to remove DRM, but you don’t know which one is better. Don't worry. 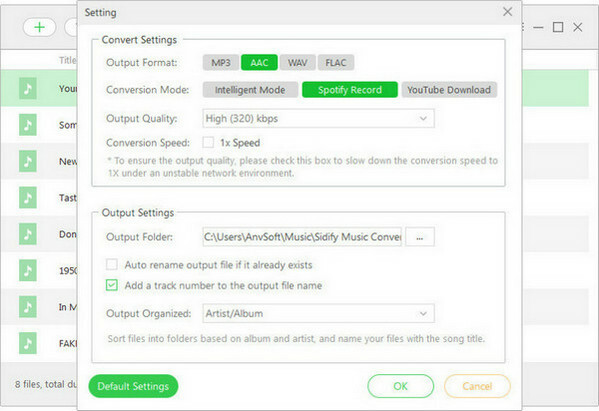 here we will show you the best tool to strip off the DRM from Spotify song and playlist easily and quickly. 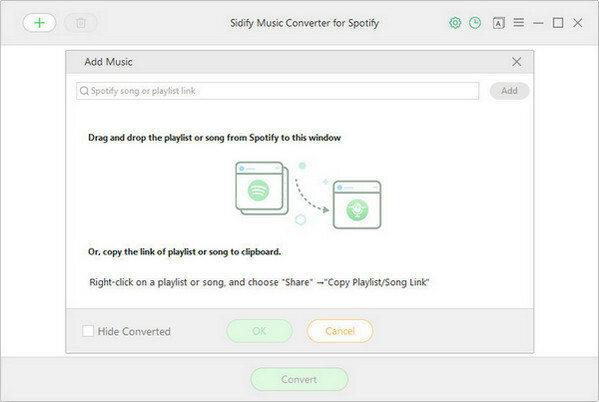 Sidify Music Converter for Spotify ( For Windows | For Mac ) is designed to help users convert music or playlist from Spotify to plain MP3, AAC, FLAC or WAV format for playing in Car Stereo via USB, burning to CD and transferring to other devices for streaming. For free and premium users of Spotify, things can get a bit complicated and difficult when you want to play your favorite Spotify music on every device or player as you want. 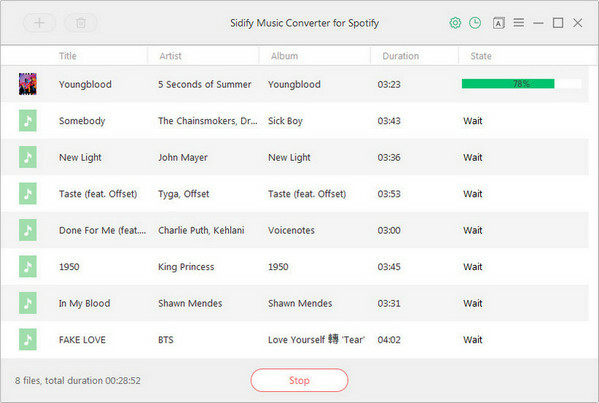 But, this handy tool makes playing Spotify files on players and devices extremely easy. This is where Sidify really shines. 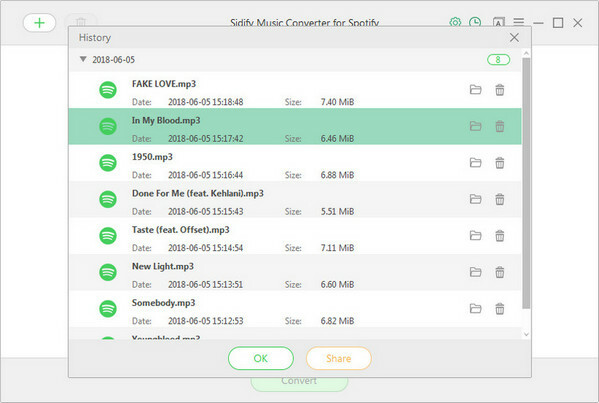 Besides, Sidify Music Converter for Spotify is also great for the possibility of keeping original audio quality and preserving all metadata (including title, artist, album, album, track number and genre) after conversion. 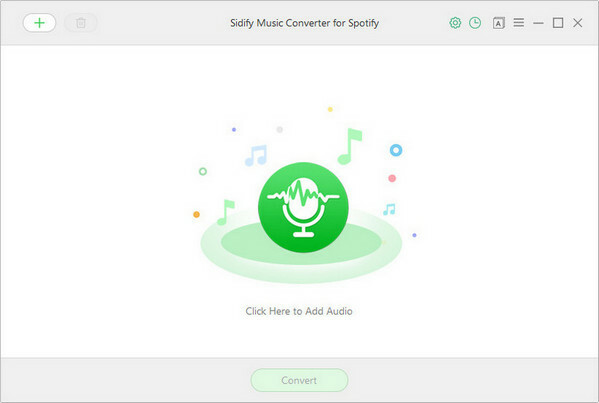 In the following guide, we would convert Spotify music to plain MP3 format with Windows version of Sidify Music Converter for Spotify as an example. Now, plug your USB drive into your computer. Open the USB drive once it is recognized. Drag the folder of chosen music files from your desktop into your USB drive. The Spotify music will be stored on your USB drive and you can listen to your Spotify Music on your car stereo via USB drive wherever you go. 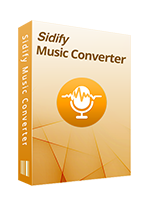 Note: The trial version of Sidify music converter allows you to convert first 3 minutes of each file for sample testing. If you want to convert more songs from Spotify, you'll need to buy the full version to unclock the trial restrictions at $39.95.